In April of last year, the College announced its achievement of carbon neutrality, two years ahead of schedule. The notice came after a decade of infrastructural overhauls—a cogenerations turbine, oil to natural gas conversion, the installation of thousands of LED lights and, finally, the purchase of renewable energy credits. This achievement also followed two large-budget project announcements—the construction of the Roux Center for the Environment and major expansions to what is now the Schiller Coastal Studies Center. These measures may suggest that Bowdoin is a largely environmentally focused school or could be seen as a timely response to the growing relevance of environmental concerns in our world. But even as the College takes steps forward, some students and faculty wonder how to reconcile the academic study of the environment with the College’s broader goals and whether Bowdoin is fulfilling its own institutional responsibility to address environmental concerns. Bowdoin’s environmental studies program dates back to the early 1970s, when environmental awareness at the College converged with the emergence of environmental conservation as a national issue. In the following decades, the program expanded, and the College deepened its environmental connections in other areas. Bowdoin’s connection to the environment has played a key role in the ever-evolving actualization of its identity as an institution. In 1969, at age 33, Roger Howell Jr. ’58 became president of Bowdoin College. At the time, there was a strong mood of political ferment at educational institutions around the country, largely due to opposition to the U.S. war in Vietnam. At the same time, the first Earth Day in April 1970 signaled the birth of a national environmental movement. These changes led to a major rethinking of who the College was for and what purposes it should serve. In the following few years, Bowdoin began to admit women, became test-optional and completely restructured its curriculum to reduce the number of course requirements outside of the major. Certain traditional standards were loosened amidst a general push for an academic program more relevant to contemporary social and political issues, and new interdisciplinary programs were established, including an Afro-American Studies major. Though events such as the first Earth Day went largely unacknowledged at Bowdoin, heightened environmental awareness manifested itself in the classroom as students expressed increased interest in studying the environment academically. Some environmentally-conscious professors began offering more courses to meet this demand. In 1971, 10 departments listed courses designated as environmentally relevant. In 1972, Bowdoin created a formal environmental studies (ES) program. It was among the first wave of schools to do so, following Middlebury, University of Wisconsin–Madison, UC Santa Barbara and Dartmouth. Rather than a stand-alone major, Bowdoin established a coordinate program, meaning that students would pair environmental studies with a major in an existing department. This took advantage of existing expertise among faculty in multiple departments and allowed for more collaboration on environmental topics. It also addressed a problem of focus and legitimacy—there was no clear idea of what students would learn in an environmental studies major, as the field lacked the same long tradition as other disciplines and brought together disparate ways of thinking around a loosely defined topic. Thus, the goal of the program was to provide students with both specialized knowledge in one established field, such as government or history, and a broad understanding of how to think about the environment. Meanwhile, there was a burgeoning state-wide recognition that Maine’s landscape was endangered and in need of protection. In 1966, John McKee, a French instructor at Bowdoin, published a series of photographs in an exhibition titled “As Maine Goes.” The photographs show trash, sewage pipes leading to the ocean and the proliferation of commercial development along the shoreline. McKee intended for the photographs to bring attention to the destruction of Maine’s unique coastal landscape. Bowdoin professors looked at Maine’s unique environmental challenges as academic opportunities. In 1971, Chuck Huntington, a biology professor developed a senior seminar for ES coordinate majors called “The Androscoggin River: A Case Study.” During these years, the Androscoggin was one of the most polluted rivers in the country—its fumes notoriously stripped the paint off of houses along its banks during a summer drought. The class examined the history and issues of the river, leveraging the different disciplinary expertise of students by pairing student-run seminars with lectures by professors and other specialists. The ES program grew in the 1980s when the oceanographer Ed Laine came to the College as the program’s first official director. The program was expanded to include six core courses and began graduating between eight and 12 majors every year. College pamphlets from this time describe the program as combining the three primary areas of study—the natural sciences, social sciences and humanities—as well as integrating service- and field-based learning. Robert Edwards, who became president of Bowdoin in 1990, saw greater opportunity to take advantage of the College’s location in order to build its unique brand. The Outing Club was greatly expanded and took over orientation trips in 1992. 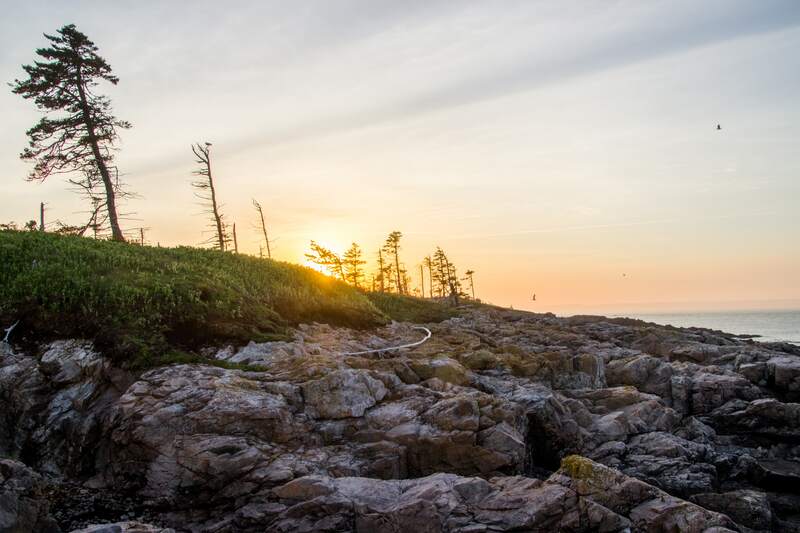 In these years, the College’s advertising increasingly focused on the opportunities provided by its coastal Maine location. As Edwards contributed to the growth of the natural sciences at Bowdoin in those years, the College had also took advantage of its property on Orrs Island in Harpswell in addition to the biological field station on Kent Island in the Bay of Fundy, Canada. In 1998 the Coastal Studies Center opened on Orrs Island with a terrestrial and marine lab. In 1998, the Environmental Studies Committee drafted a new mission statement that focused on enhancing the program’s interdisciplinary nature—which would span the natural sciences, social sciences and humanities—as opposed to the program’s existing focus in the natural sciences. This emphasis on the study of the environment as interdisciplinary has continued in the last 20 years. It was of particular focus in the events and announcements surrounding the opening of the Roux Center last semester. 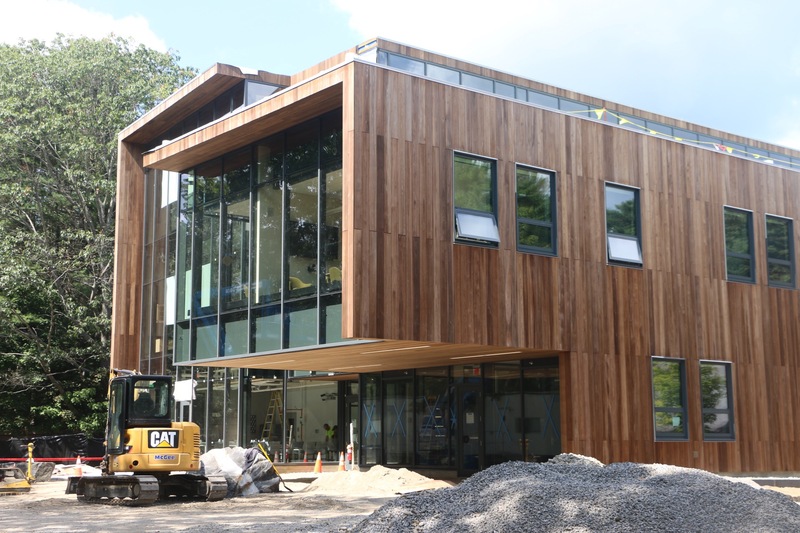 “These events recognize our nearly fifty years of leadership in interdisciplinary environmental studies,” President Clayton Rose wrote in an email to students about the opening of the Roux Center. The study of the environment spans many areas of academic study at Bowdoin, with the ES program listing nine professors and 22 contributing faculty members in 12 different departments. However, this wide range does not inherently guarantee interdisciplinary collaboration. Vladimir Douhovnikoff, associate professor of biology, pointed out that while there are many faculty members on campus with deep knowledge about the environment in their particular subfield, there is comparatively little discussion between departments. “There is a lot of room for leveraging the knowledge that we have to address environmental topics in a more structured, targeted and collaborative way,” Douhovnikoff said. Associate Professor of Economics and Sustainability Implementation Committee (SIC) member Erik Nelson, who works with ecologists from other universities and organizations in his research, explained how interdisciplinary work can reveal surprising commonalities between different fields. He said that economists and ecologists often model systems in similar ways, so when they collaborate, they can share and grasp ideas quickly. Matthew Klingle, associate professor of history and environmental studies, works across several disciplines in his own research, which relates to the intersections of the environment and human health. He admitted that interdisciplinary study is in reality incredibly difficult. A historian by training, he took a series of classes at Harvard on public health and learned how to read sources from other disciplines, including biomedical scientific research, which allowed him to approach the history of diabetes from new angles. Klingle sees the coordinate major’s requirement for training in a particular discipline as key to this kind of work. “[Interdisciplinary study] is about knowing what you don’t know,” and for this, “you have to know something fairly well … It gives you an understanding of your limitations,” said Klingle. Emily Ruby ’19, an ES–Africana Studies major, thinks that the coordinate major has fallen short of this goal. She has found the major to be too restrictive and the four required core courses to be largely ineffective. “Professors should be able to teach the topics that they have been studying in the last few years as opposed to a broad survey class,” she said. Ruby believes that these required courses often end up sacrificing depth for breadth, as they prevent students from focusing on a particular area of ES. This particularly affects ES–humanities majors like herself, for whom there are fewer crossover courses, she said. While the ES department has tried to drive collaboration, it is not the only hub on campus for thinking about the environment. In particular, Douhovnikoff noted the new ecology, evolution and marine biology (EEMB) concentration within the Biology Department, which was announced last year. The concentration, he hopes, will allow more focused collaboration for studying environmental topics through these fields, in which several professors in the department work. The view from Kent Island. Students come to Bowdoin with their own reasons for caring about the environment, which may interact with academic interests in a variety of ways. Connection to the environment comes in many forms, but it often originates from a simple awareness one’s surroundings. “The reason that we want to study the earth in a scientific way and learn more about it is that we have this initial, emotional attachment to the environment,” said Kitrea Takata-Glushkoff ’19, an Earth and Oceanographic Science (EOS) major. Takata-Glushkoff has also become interested in promoting more cross-cultural communication in the geosciences, as she thinks there often is a disconnect between scientists who extract data from a place and the people who live in and interact with that place every day. Kate Dempsey ’88, director of the Nature Conservancy in Maine, echoed this sentiment. “Conservation today really is about working with resource users to design strategies that allow them to thrive as humans,” she said. Before moving to the Nature Conservancy, Dempsey worked in affordable housing and public health after going to graduate school for urban policy. “Through that work, I began to understand how essential a healthy environment is to thriving communities,” she said. Dempsey was not involved in environmental issues during her time at Bowdoin. She barely knew of the ES program and would have assumed the major was only for those studying the natural sciences. Nonetheless, she does believe that her education at Bowdoin, as a government and legal studies major, was important for her later work. “Thinking about how various communities [and] countries design healthy communities was obviously incredibly grounding for me,” she said. Klingle wants the ES program to encourage this kind of broad thinking about how the environment is highly interconnected with other social and political issues. He pointed out that the goal of the program is not to create unquestioning advocates for the environment, but rather to encourage careful thinking about the stakes of environmental topics. He cited the principle of “equipoise,” used in medicine, which distills down to these questions: Before thinking about how to solve a problem, one must consider if it’s really a problem, how it’s a problem and for whom it’s a problem. Thus, environmental studies is about challenging preconceptions—thinking, at the most basic level, about what the environment encompasses. Klingle noted that conceptions of the environment have often been quite narrow and haven’t considered how everyone is intimately connected to the natural world. Public discourse, in particular, has often been narrated by people with relatively high socioeconomic status who want to protect certain beautiful spaces for their own interests and uses. While acknowledging that this is partly due to the nature of the material, she pointed to the opportunity for greater knowledge co-production within the environmental sciences, in which the people that live in an environment or use a resource have more involvement in the scientific research about it. 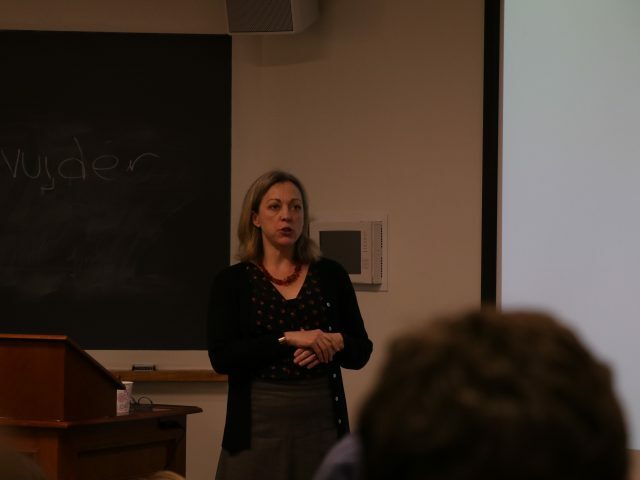 She said that seeing that humans are harming the natural world and wanting to mitigate that underlies her study of the environment, but pointed out that geoscientists often don’t come to the subject as environmentalists. “Half of geoscientists end up going into oil,” said Takata-Glushkoff. However, certain environmental issues have emerged that will have enormous repercussions for society as a whole. As an International Panel on Climate Change report published in August again makes clear, there is broad consensus that if carbon dioxide emissions don’t soon fall significantly, global warming will be catastrophic. 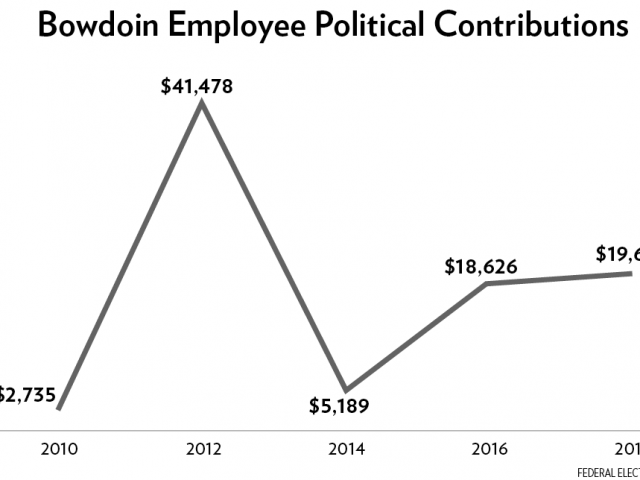 This demands concrete action beyond further study of the issue and has opened the opportunity in recent years for Bowdoin to use its power as an institution to make a notable difference. In 2001, Bowdoin established its Sustainability Office with the goal of reducing the environmental impact of its campus. “I was one of the first five people in the country doing this,” said Keisha Payson, who has been the sustainability director at Bowdoin since its inception. 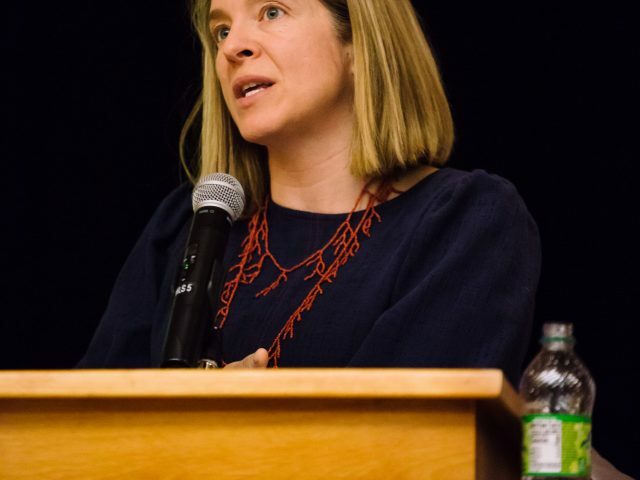 Payson said that Bowdoin began tracking its carbon emissions in 2003, but the goal of carbon neutrality emerged in 2007 as an agreement between hundreds of college presidents nationwide. Each institution committed to developing a climate action plan, including a date for carbon neutrality. “The whole campus sustainability movement really took off. That one commitment was a game-changer across the country,” Payson said. 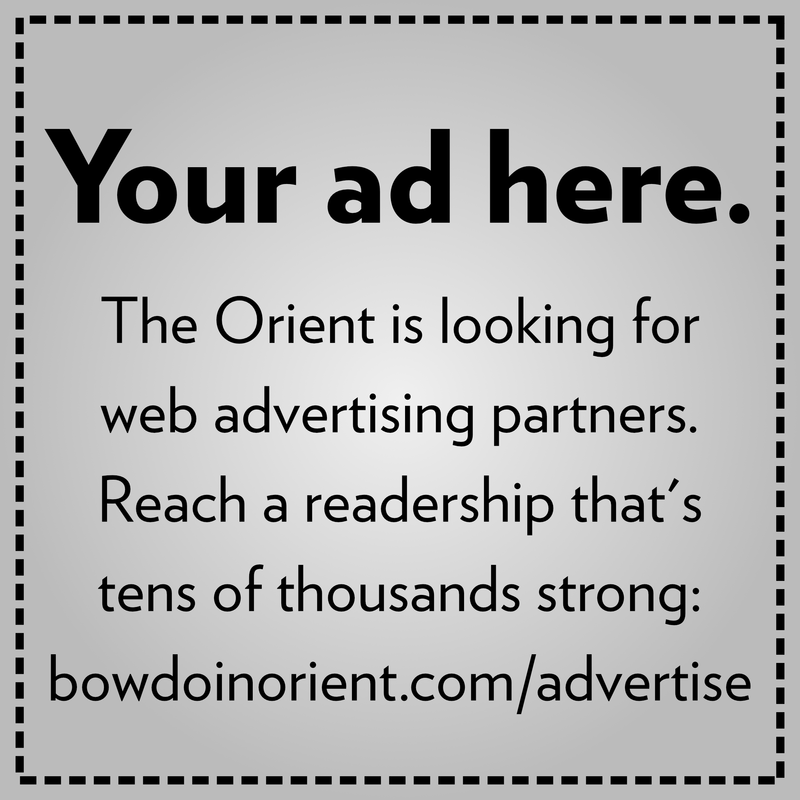 Bowdoin decided on 2020 as a date for carbon neutrality. Knowing that the slow pace of developing technology would make complete elimination of on-campus emissions impossible, the College set a goal of a 28 percent reduction of on-campus emissions. It would then match its real carbon footprint—the amount of carbon actually burned to make the College run—by purchasing renewable energy credits (RECs). A company or utility producing renewable energy receives RECs for each unit of power that it produces, which it can then sell to another institution. An REC can be additional or non–additional. “If someone is going to build a solar array, and the only way they can afford to do this is by selling RECs, then the REC is called additional. The institution that bought these RECs is responsible for the creation of this solar array,” said Nelson. If that solar array would be profitable without selling the REC, it is called non-additional and is generally much cheaper. For this reason, Bowdoin bought a large portion of non-additional RECs from wind farms in Texas in order to achieve carbon neutrality. Bowdoin also joined a consortium of schools to support the construction of a solar array in Farmington, Maine. 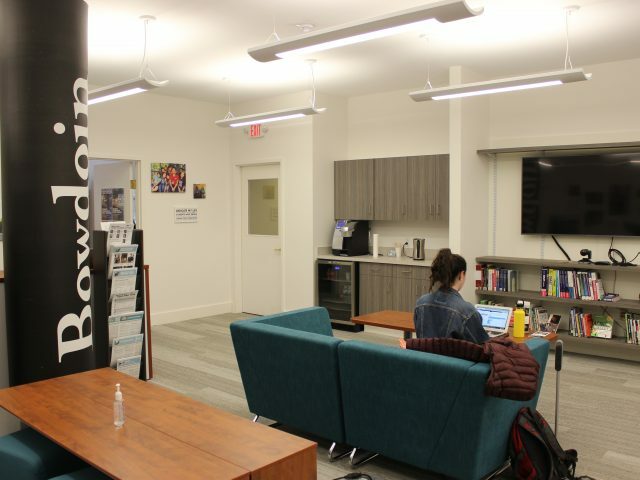 The RECs from this project, which can be considered additional, will offset a larger fraction of Bowdoin’s energy use when the project is completed. The next climate action plan is currently being developed by the Office of Sustainability, which discusses its projects and strategies with the SIC, a group made up of students and faculty that meets a few times each semester. The new plan’s goals will likely be for 2030. Payson said that this plan will shift its focus from scope 1 to scope 2 emissions. Scope 1 emissions, which result from electricity use, made up most of the College’s 28 percent reduction in campus emissions. Scope 2 emissions, which come from natural gas heating and fuel used by the campus vehicle fleet, haven’t decreased much since 2008. Reducing scope 2 emissions will require more major infrastructure changes, on which the Office is currently working. Payson said that the new College residences on Park Row will require very little energy to heat. Ruby has been working with the Sustainability Office to develop this new climate action plan. She feels that the infrastructural changes being developed are necessary at the institutional level. During her time at Bowdoin, Ruby has been involved with Bowdoin Climate Action (BCA). The group spent years campaigning for divestment before pivoting to politics in 2017. For Ruby, Bowdoin’s carbon neutrality isn’t enough. “BCA wants the College to be doing more outside of the institution in national, state and local politics,” she said. She said that divestment of the endowment from the fossil fuel industry would still represent this kind of outward-looking action. “It doesn’t ultimately matter what our institution’s energy footprint looks like if the fossil fuel industry maintains a stranglehold on our economy,” she said. Takata-Glushnoff, who was involved with the Sustainability Office as a first year and sophomore, said that she is proud of Bowdoin’s commitment to sustainability but sees discrepancies between Bowdoin’s commitment at an institutional level and among the student body as a whole. She pointed to the low level of activism on campus and wishes that more student leadership had generated energy and conversation around the carbon neutrality plan. Dempsey, who has worked on environmental issues with all sorts of people, agrees that the strategy must be expansive.